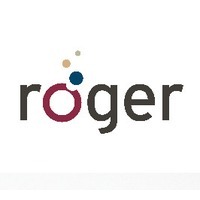 Roger is a new digital wireless technology standard - an alternative to fm. The Roger digital radio system operates in the 2.4GHz band, which is globally licence free, with intelligent adaptive protocols. The Roger digital protocol has an end to end audio delay of less than 25ms. A nice Roger feature is that the system is private and cannot be eavesdropped. The Roger Pen offers a choice of microphone pickup characteristics as well as a Bluetooth connection for mobile phones or similar. Conference style - Place Roger Pen in the middle of a table to listen to a group of people: ie. in seminars. Interview style - Hold Roger Pen in your hand and point it towards the person you want to hear. The Pen microphones will zoom in on the person speaking. Good for small groups. Up to 10 Roger Pen transmitters can be used in a network for group use. If you are a university student and will be applying for funding under the Disabled Students Allowance, click here for information about how it works and some useful links. Our friendly and approachable trainer will spend as long as is required to get the system working in your specific environment and to ensure that you are happy and confident about all the different ways the equipment can work for you. We would strongly recommend this service for those at university who no longer have the support of a Teacher of the Deaf. Please contact Richard or John in Customer Services to discuss your individual requirements.